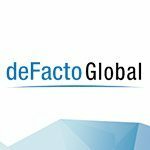 InterDyn BMI Customer Summit - Platinum Sponsor | deFacto Global Inc. 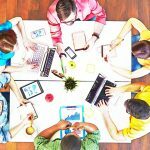 This year’s series of events, which provide valuable learning and networking sessions for Microsoft Dynamics users, will be held in Minneapolis MN on September 9, Portland OR on September 17, and Billings MT on September 22. The full schedule of events can be seen at http://www.InterDynbmi.com/events/customer-summit. InterDyn BMI utilizes Microsoft Dynamics enterprise resource planning (ERP) software to develop integrated business management solutions for a wide range of companies and organizations. As InterDyn BMI relates, the conference is the company’s chance to say thank you to its loyal customers and to share innovative business solutions focused around Microsoft Dynamics. The InterDyn BMI Customer Summit offers Microsoft Dynamics users the opportunity to engage with fellow users in educational sessions and peer networking events. Attendees can learn about new product releases, industry trends, and best practices. 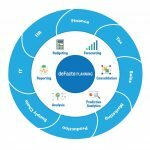 deFacto looks forward to contributing to the success of the Dynamics user community and demonstrating our next-generation corporate planning solutions.